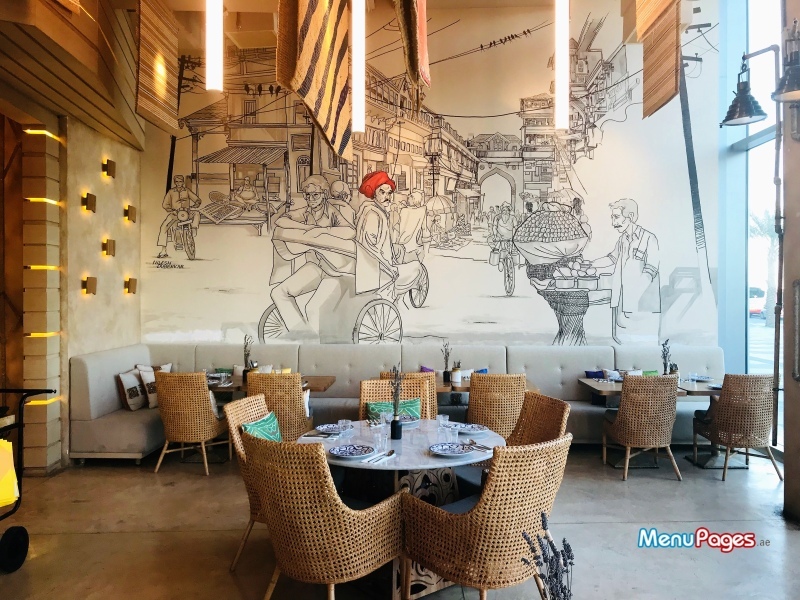 Mohalla – my neighborhood – is Dubai Design District's newest Indian restaurant. 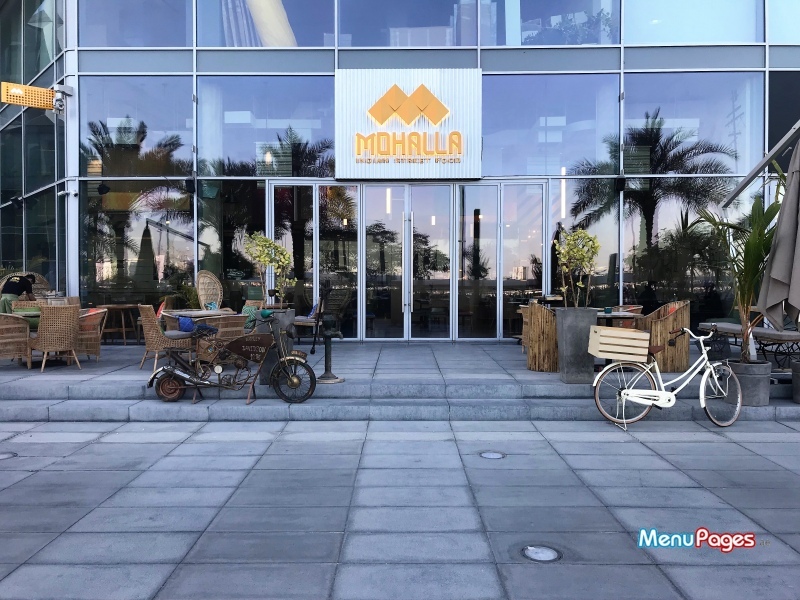 Serving pan-Indian street food favorites in a plush setting, Mohalla's menu is crammed with beloved comfort food from every corner of the country. 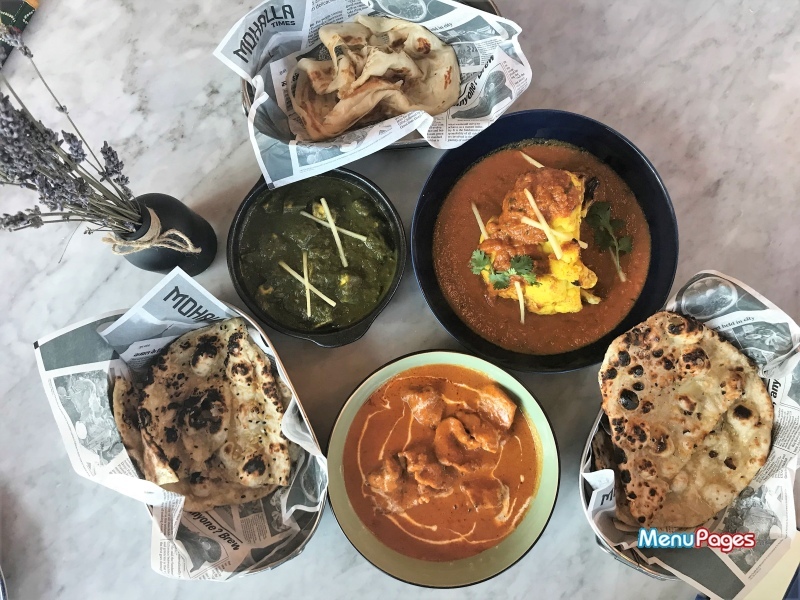 From its Calcutta kathi roll to its Goan ros omelet, wade through a rich collection of popular and lesser-known regional gems at Mohalla. Reservations can be made at 800 664 2552. Dubai Design District is surrounded by spacious parking lots. Valet parking is also an option for AED 32 for three hours and AED 10 for every additional hour. We were given an enthusiastic welcome and swiftly seated with a menu. Our waiter was a fountain of recommendations. We couldn't thank him enough for suggesting his favorite dishes off the menu; one bite is all it could for them to become our favorites too! He was engaging and even helped us with portion sizing; always a tricky arena with Indian food. Our lunch was a feast! For appetizers we ordered raj kachori, dal and singhada koshimbir, 1965 chicken buhari, jackfruit & thepla tacos. For the mains we went with palak paneer, butter chicken & gobi tikka masala accompanied with cheese naan, garlic naan & Malabari paratha. To satisfy our sweet cravings, we tried the jalebi with rabdi. For drinks, we tried the vasan thaneer, peach bellini and a passion fruit two-ways mocktail. A classic welcome at most Indian restaurants is a basket of poppadom. 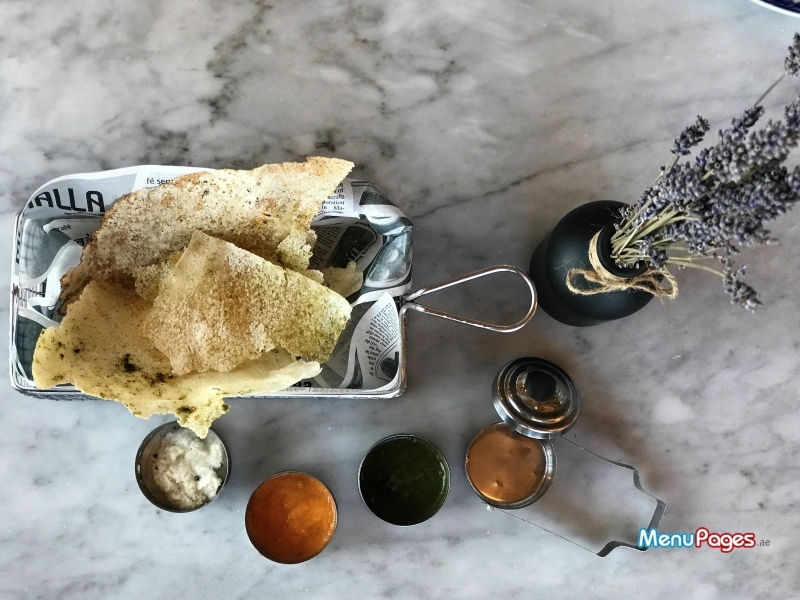 Mohalla has put its personal spin on this tradition by swapping poppadoms with a dosa. Served with a trio of tomato, avocado and the cornerstone coconut chutney – our welcome couldn't be more perfect. While dosas are normally the meal, this was just the tip of the iceberg. 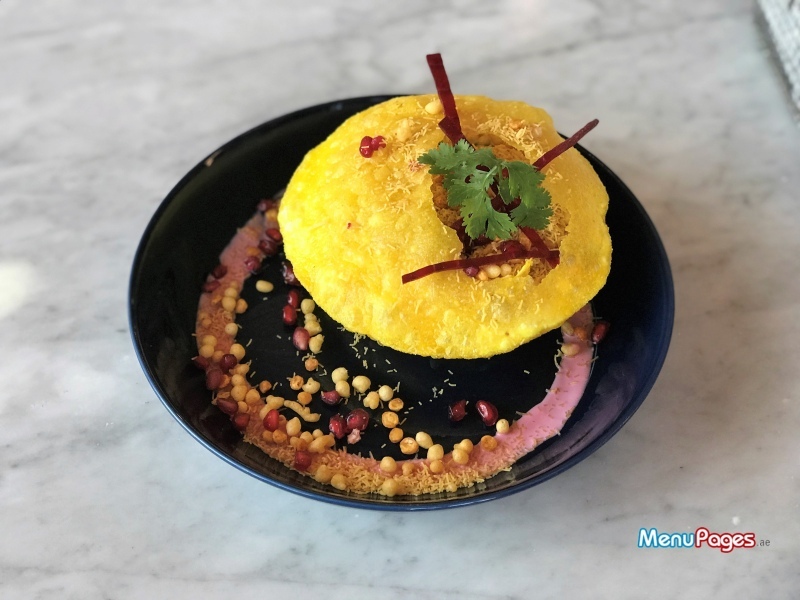 We paced ourselves with a salad – dal and singhada koshimbir – lentils and water chestnut for those that haven't eaten their way around India's streets. 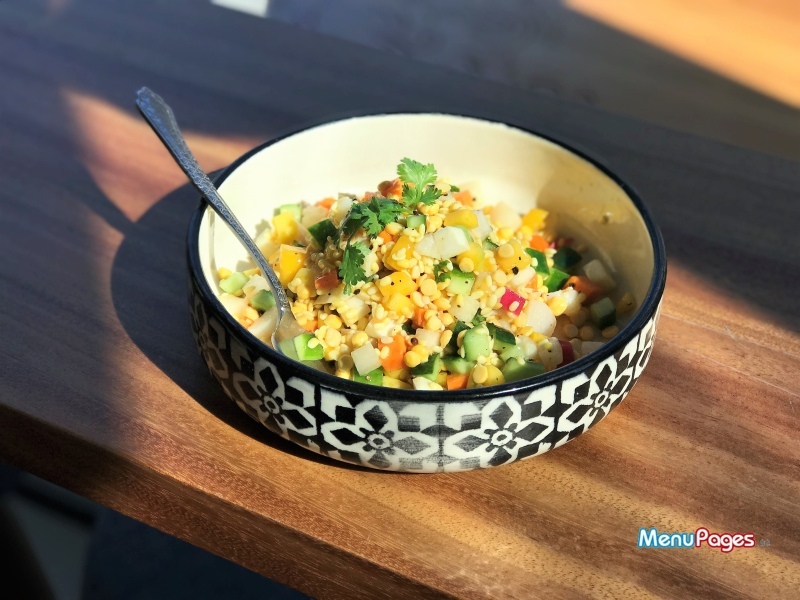 A burst of freshness with every forkful, the surprise crunch from the lentils was the highlight of this dish. We followed this with veggie thepla tacos. Gujarat's answer to tortillas, theplas are flatbreads typically flavored with fenugreek. 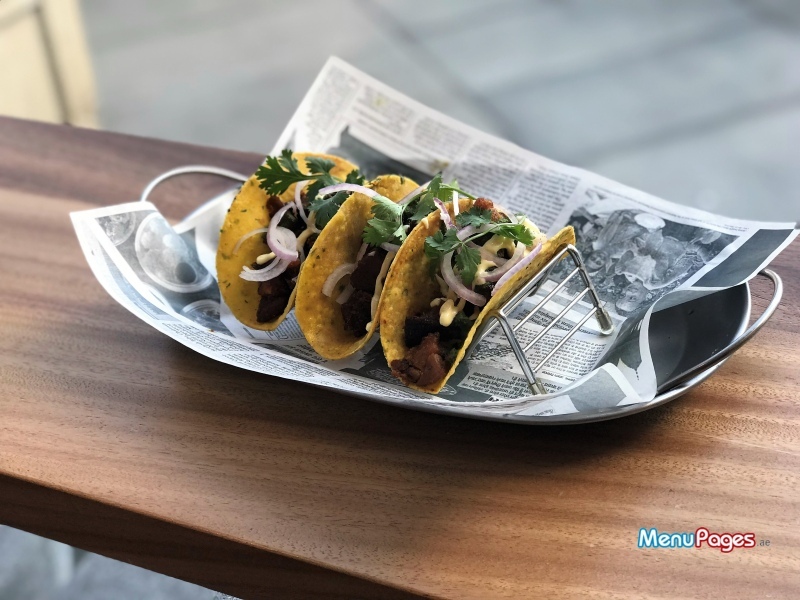 Masterfully packed with tender jackfruit, Mohalla's vegetarian tacos are a game-changing spin on carne asada tacos! Our round of appetizers can with their own dessert – raj kachori. A scrumptious fusion of sweet and savory notes, this dish left our tastebuds tingling with every mouthful. Straying from the beaten path, Mohalla's kachori is mild on the palette; bringing beetroot into the mix. Get your hands on a bill at an Indian restaurant and it will be identical to our main course. We ordered “Indian family dinner on a Sunday night” classics - 1965 chicken buhari (chicken 65 by another name), palak paneer, gobi tikka masala and butter chicken. The 1965 chicken buhari came into its own with offbeat flavors and a sinfully delicious texture. 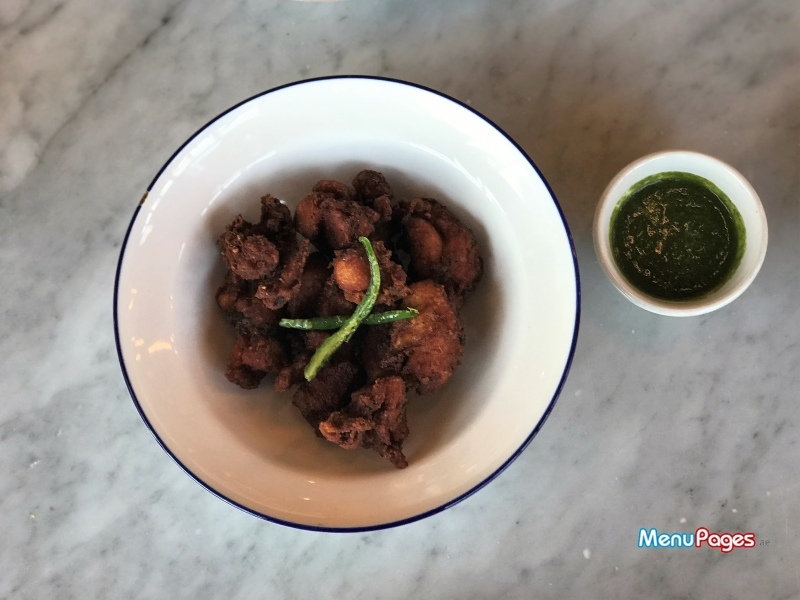 Catering to a diverse audience, Mohalla's dishes can be tweaked for all spice tolerance levels, so you won't hear us complaining about secret chili ninjas in this review. The palak paneer, a vegetarian's savior in a North Indian restaurant, was aglow with fresh spinach and chubby cubes of fried Indian cottage cheese. Another veggie go-to, the gobi tikka masala was creatively presented and scrumptious right to the bottom of the bowl. This thick cauliflower steak drizzled in a velvety-smooth gravy has inspired us to upgrade our weeknight dinners beyond cauliflower rice. Boasting the perfect consistency, the butter chicken was flawless in the spice department. We wouldn't bat an eyelid at ordering another round if we didn't have our eyes on the dessert menu. We wrapped up with a common streetside indulgence – jalebi with rabdi. One of the finest works of art to come out of Indian and African kitchens, jalebis are mesmerizing swirls of fried flour showered with sugar syrup and rose water. 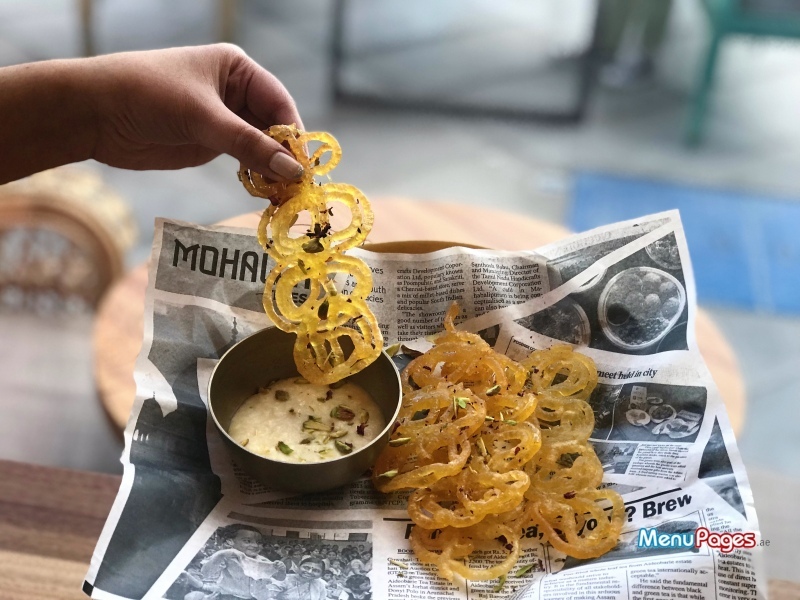 Taking this over-the-top dish to another heart-stopping level, Mohalla pairs its jalebi with rabdi. Grab a napkin if you're drooling because the next line is only going to make it worse – rabdi is a vanilla-infused condensed milk sauce. Swoon! 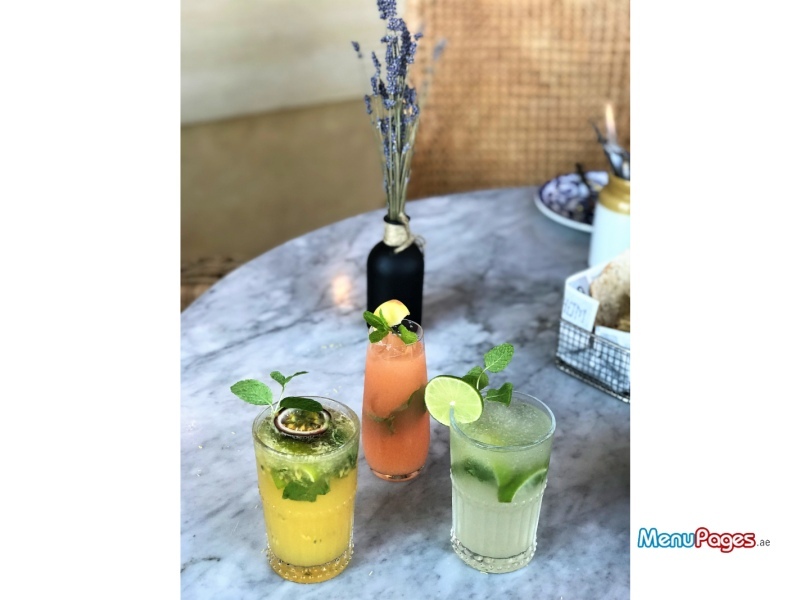 The drinks were refreshing and promise to be a real treat when Dubai's summer strikes. Various waiters frequented our table to ensure we were looked after throughout our meal. Mohalla is drenched in a flood of natural light, thanks to its glass walls, making it effortless to take #nofilter photos. The background music is an ambient mix of English and Indian songs. Our three-course meal for 3 guests amounted to AED 453. Considering that our order was quite lavish with plenty of food left over (parceled away for us to enjoy later), the pricing is quite reasonable tempting another visit. Kuzhi paniyaram, chilli chicken with chowmein, keema matar with pav, calamari koliwada and the raan biryani (this needs to be pre-ordered and is prepared 2-3 hours prior to being served).